If ever a food was worthy of true superfood status, turmeric would be it. This medicinal herb has long been touted for its phenomenal healing abilities and health-giving properties. An increasingly popular way to consume this magnificent spice is in the form of turmeric tea — or golden milk. With a striking golden hue, turmeric can produce a slightly bitter aftertaste, so adding this healing spice to a sweetened milky tea is an excellent way to ensure you are reaping its health benefits on a daily basis. 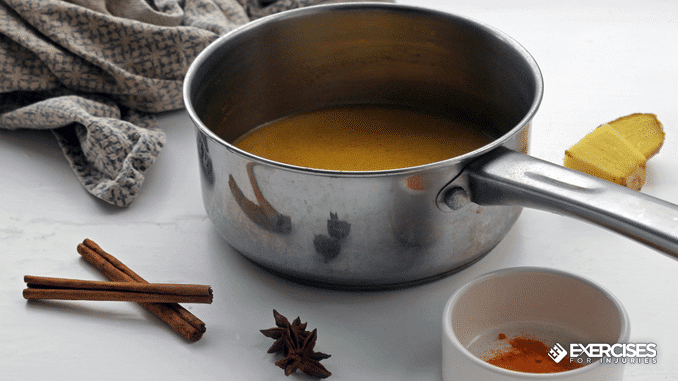 So, what is golden milk? 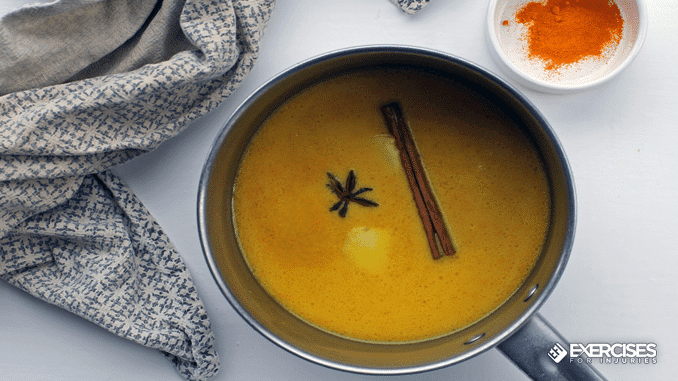 Typically made with almond or coconut milk, golden milk can be prepared with additional warming spices along with your choice of healthy sweetener to make the perfect anti-inflammatory tea to kick-start your day. 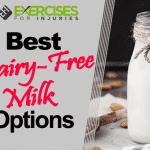 Alongside any additional flavor pairings, it is crucial that the milk also contains ground black pepper and a little healthy fat, such as coconut oil or clarified butter. Black pepper drastically increases the bioavailability of curcumin within the body and fats are required in conjunction with turmeric to ensure that it’s fat-soluble compounds are digested correctly by the body. This enables full absorption of turmeric’s many impressive healing compounds. 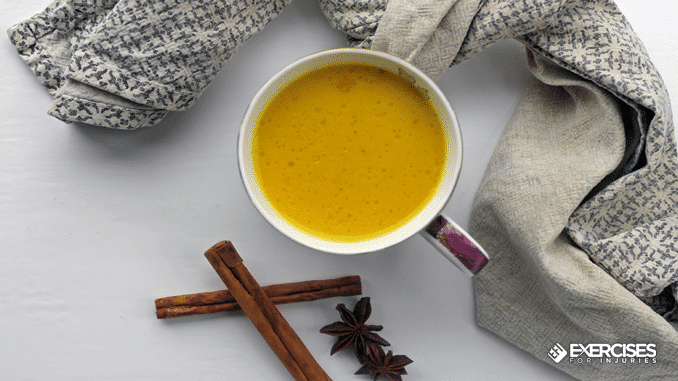 As well as replacing your morning coffee or as a soothing bedtime beverage, what are the benefits of golden milk? 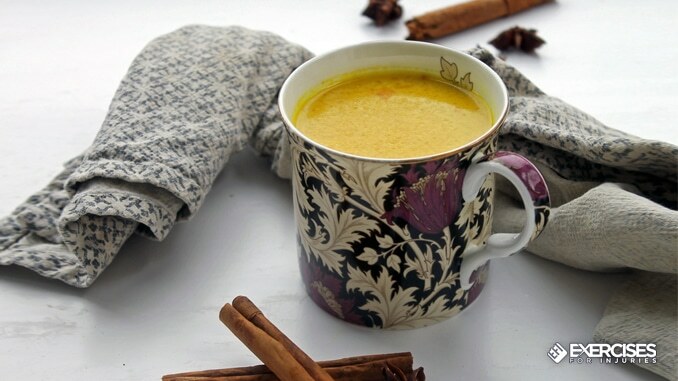 The phenomenal and well-documented benefits of golden milk can predominantly be attributed to its key ingredient, which is turmeric. However, more specifically, it’s the active compounds called curcumin, found within turmeric, renowned for its potent anti-inflammatory effects. Depression: Curcumin has demonstrated positive effects on easing the symptoms of mild depressive conditions, with the bonus of not causing the unpleasant side effects associated with many antidepressants. 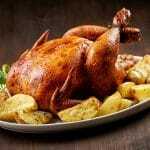 Maintaining healthy skin: Chock full of antioxidants, turmeric gives the skin a healthy glow as well as reducing acne and soothing skin conditions like psoriasis. 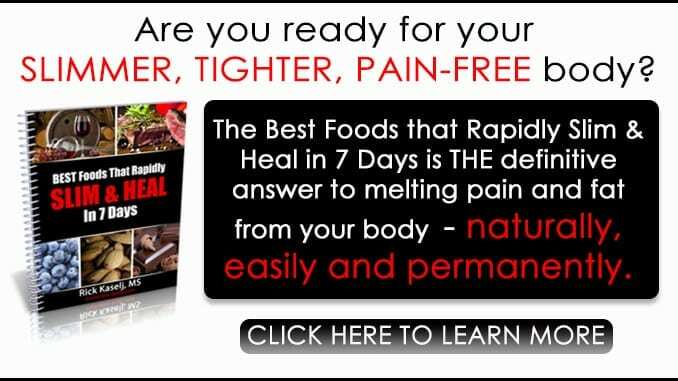 Cancer prevention: A potent anti-inflammatory, turmeric has demonstrated the ability to prevent not only the growth of cancer but also the ability to kill cancer cells. 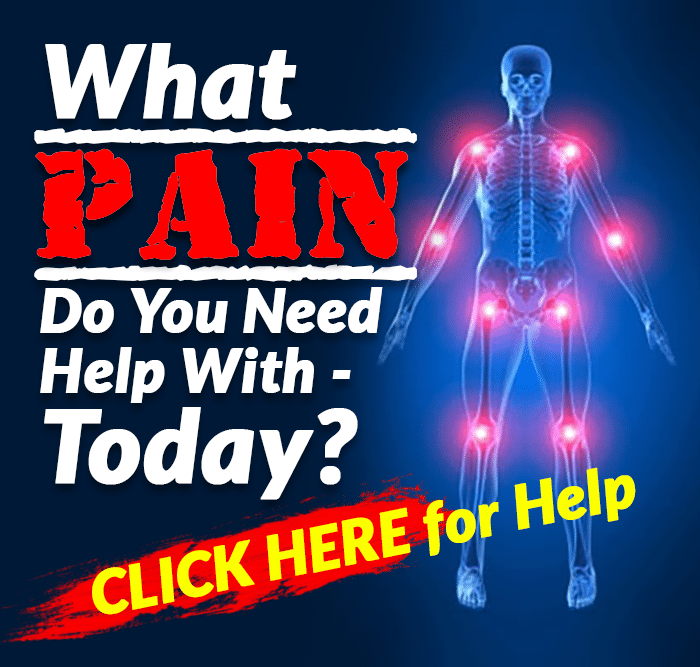 Pain relief: Turmeric’s anti-inflammatory nature helps to provide pain relief in multiple conditions, including conditions affecting the joints. Turmeric has even shown to be as effective as pain medications prescribed to those affected by arthritis. Inflammatory bowel disease: The healing and anti-inflammatory effects of turmeric have been shown to not only reduce pain but also assist in repairing the gut in those suffering from inflammatory bowel conditions like Crohn’s disease and ulcerative colitis. Detoxification: The active compound, curcumin assists the liver in detoxifying the body of accumulated toxins, crucial for maintaining vibrant health and a healthy immune system. These are just some of the noteworthy benefits of incorporating a dose of turmeric into your daily routine, and making a warming mug of golden tea is a simple and delicious way to stay healthy. There are several ways that you can prepare your nourishing golden tea, and these can be accompanied by a variety of additional healthy flavorings of your choice. At the most basic level, you need to ensure your turmeric tea has a healthy milk base, ground or fresh turmeric, ground black pepper and a little fat for absorption. 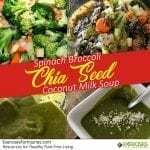 However, if you like getting experimental with your healing beverage, this simple recipe provides the addition of a few extra warming spices as well as an additional nutrient hit. Add the turmeric, black pepper, coconut oil, honey and milk to a small saucepan. Stir together over medium-low heat until well combined, and the oil has completely melted. Add the cinnamon stick, star anise, and fresh sliced ginger to the saucepan. Simmer gently, but do not boil, for 7 to 10 minutes, allowing the turmeric to cook and the spices to infuse the milk. Taste and add a little extra sweetener or spices if required. 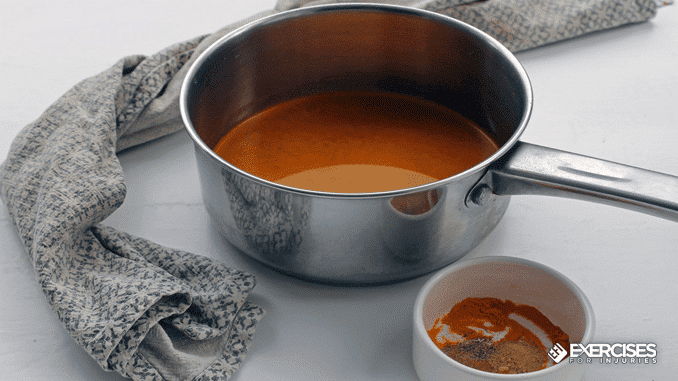 Pour into a mug through a fine mesh strainer, discarding of the whole spices and serve immediately while hot. This fragrant milk is loaded with nutrients and subtle spices. If you prefer plain milk, omit the cinnamon, ginger, and anise. For sweeter milk, you can add extra honey, maple syrup or vanilla extract or swap the coconut oil for a little almond oil. For a chai-inspired twist on golden milk, infuse it with crushed cardamom pods, fennel, cinnamon, and ginger. You can even experiment with different kinds of milk to form the base of your turmeric tea, such as coconut or other nut milk like macadamia or cashew. The only word of warning when creating this delicious tea is the potent natural hue of turmeric powder and its ability to stain anything it comes in to contact with, so be careful around clothes and furnishings. If you are looking to consume this powerful healing drink on a regular basis, you can create a turmeric paste to store in the refrigerator, ready to be added to your warm milk. To create your paste, add 3/4 cup of boiling water to a small saucepan with 3 tablespoons of ground turmeric, 1/4 teaspoon of ground black pepper, 1 teaspoon of cinnamon, 2 teaspoons of coconut oil and1 teaspoon of ground ginger. Bring the heat to medium — you do not want it to boil — and stir continuously until transformed to a thick paste. This should take 5 to 7 minutes. 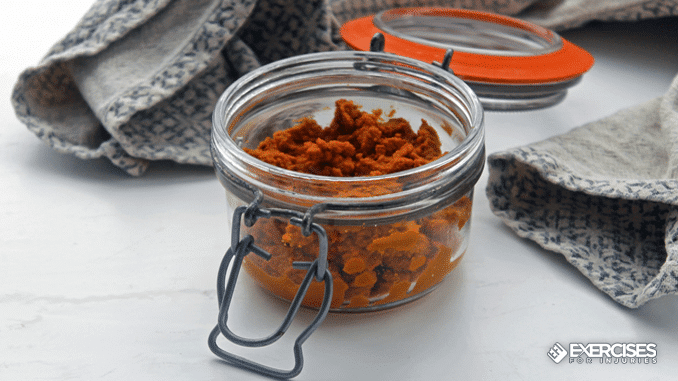 Once cool, transfer the paste to a clean airtight jar and store in the refrigerator. It will keep for up to a week. When ready to use, warm the milk and add some honey or maple syrup. Stir 1/2 or 1 teaspoon of the paste into your warm milk to taste and serve. 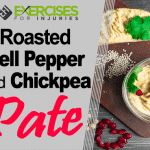 Once you have prepared the paste, you can use it to add an additional nutrient hot to smoothies, breakfast cereals, soups, stews, and cooking sauces.